MSNBC Vaults To #2 In Year-End Ratings - Joe.My.God. 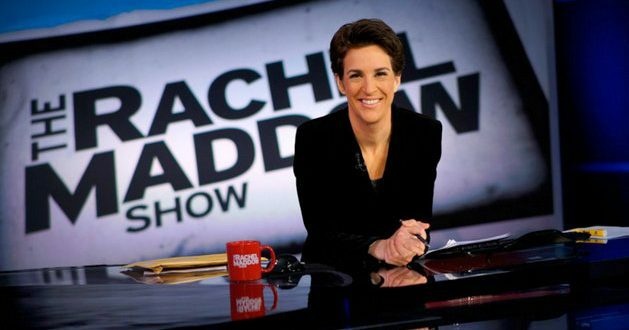 MSNBC scored a ratings victory in the post-election year of 2017 by overtaking CNN in key dayparts and delivering record ratings among total viewers in every hour during the week. MSNBC finished the year as the #2 most-watched network in all of cable for weekday prime, up from #8 in 2016. Prime on MSNBC delivered the network’s best ratings ever in the time period and beat CNN in both total viewers and A25-54 – the 1st time MSNBC has surpassed CNN in the key A25-54 demographic since 2013. MSNBC averaged 2.1 million total viewers, over +900,000 more than the CNN total of 1.2 million. This was MSNBC’s biggest annual win over CNN ever in the network’s 21-year history.